Bathing your little one can be a memorable moment — especially when you’re bathing your baby for the first time. And this time doesn’t just serve as a time for body cleansing or a hygiene routine. It should be a bonding time. Time to get to bond and love your little one the more. In this day and age, we’ve outgrown the old long tradition where nursing moms bath and scrub their babies in kitchen sinks. Bathing babies in kitchen sinks wasn’t a pleasant experience for both the child and the mom. Now, you get to bath your lovely infant with the use of the best baby bathtubs available. Bathing babies are one of those thrilling experiences that’s quite challenges. It takes extreme care to bath and clean up a little, slippery, floppy human. But with the use of a baby bathtub, bathing time would be more pleasant and enjoyable. Let’s face it, its quite tricky to clean up your baby with an adult bathtub. Domestic accidents can occur, and you won’t want any domestic accident to take place — at least not with your baby. And the likelihood of these accidents can be drastically reduced with the use of a baby bathtub. 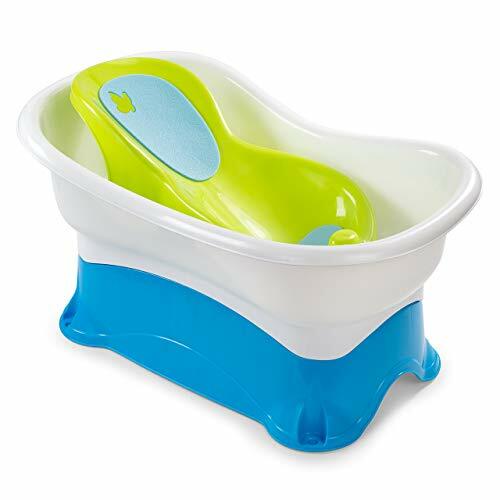 Our first best baby bathtubs, the Summer Infant Bath Tub lets you to comfortably bath your baby without putting yourself in any form of stress, discomfort, and bad body posture. Bathing your baby is not a time to break your back, and the Summer Infant Bath Tub provides an elevated platform that brings your baby closer to you. The bath center is placed on a sturdy base, enabling you to bath your child at a more comfortable height. Also, the Summer Infant Bath Tub is uniquely designed with a removable insert for infants. With the removable insert, you’d be able to place your newborn on an inclined angle and place the setup (with your newborn in it) inside a bath or sink. It offers an excellent way to bath your newly born baby on a comfortable platform without any form of risk. Furthermore, toddlers (up to 2 years of age) can be cleaned up with a much larger bath tub. Also, the sturdy base of the Summer Infant is not only raises the child to your height level, but it also provides a support platform which can be converted to stepstool and kneeler. However, the Summer Infant Bath Tub takes a lot of storage space. So, if space is not an issue for you, the bathtub would be of great value for bathing newborns and toddlers. Our second best baby bathtub, the Baby Bath Support is ergonomically designed to provide a secure and comfortable place in your bathroom that you can rely on when bathing your baby. If your infant is under six months old, then the Baby Bath Support would be a right fit. The Baby Bath Support is built with a special kind of mesh material that’s resistant to mildew and other forms of fungus attack. So, you get to bath your baby in a safe and clean platform that protects your baby’s skin from harmful microbes and various kind of micro attacks. Also, there are drain holes that let soapy water to rinse away quickly. You see, you not only get a safe bathtub, but you’ll even get to improve the hygiene of your child with a high-quality bathtub. What’s more, you’ll be able to foster a greater bond with your child and also give your little one a thrilling bath experience. The thing is, every child loves bathing provided you’re willing to get the best bathtub. And the Baby Bath Supports offers an opportunity for you to clean your child the right way. Furthermore, storage is an issue as you’d be able to easily store the bathtub with the use of a built-in hook. However, there’s little flexibility as you’d have to move your baby a lot. If you’re looking for a best baby bath tub that’ll grow with your baby, you should consider the Fisher-Price Bath Tub. The Fisher-Price Bath Tub is designed for your baby in three stages — newborn, infant, and toddler. For your newborn, a removable stopper is built to provide support, and it can be inclined to any position of your choice. The padded sling is soft, providing a comfortable support system for your newborn. For infants that have outgrown the padded sling, a baby stopper insert is designed to keep your infant reclined, offering the needed support so that your little one doesn’t slide or slip away. Also, you can bath your toddlers by rearranging the Fisher-Price Bath Tub. If adequately repositioned, the comfort and safety of your toddler would be significantly improved. The alligator cup and hippo strainer coupled with a rainforest friends tub would make your newborn experience an exciting bathtime. However, before you make use of the Fisher-Price Bath Tub, ensure that the package is complete. The Blow Up Baby Bath is an inflatable tub that’s designed for six to twelve months old babies. There’s a built-in white hot safety disc that shows you when the water is too hot for your baby’s delicate skin. When the water is too hot for your baby, the white-hot dot will turn white. And it turns blue when the water temperature is just right for your little one — you can never go wrong with the Blow Up Baby Bath. Also, the Blow Up Baby Bath is textured and padded in such a way that your baby gets to be cleaned in a comfortable and safe bath. The surface is not slippery which reduces the risk of domestic accidents. Furthermore, there is a drainage pathway which allows the passage of soapy/used water. You don’t need to stress yourself when its time to drain off or empty the bathtub. 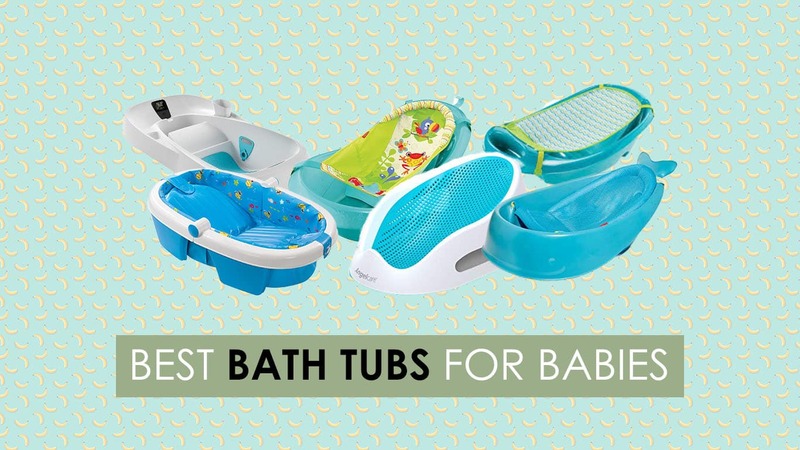 What’s more, the Blow Up Baby Bath provides immense value for mothers who are always on-the-go. When its time to travel, you’ll merely deflate the bath and fold it. However, the deflation and inflation process may (or may not) seem to be difficult depending on your level of experience. The Petal Baby Bath is one of the most aesthetically pleasing baby baths on the market. It is a soft, plush, flower-like bathtub creates that unique bond between you as your little one. By merely plugging the sink drain and inserting the blooming bath, all you have to do is fill up the tub with warm water to your desired level. Aside from its simplistic design and softness, the Petal Baby Blooming Bath comes in a variety of colors. The common colors available are yellow, pink, blue, light blue/gray, light yellow/gray, and light gray/gray. Furthermore, the Petal Baby Bath is easy to clean up. You can clean it up with your washer and dryer. Also, the cleaning up process takes about ten to fifteen minutes. If you’re looking for a better alternative to the traditional baby bath, the Petal Baby Bath would be a great fit. 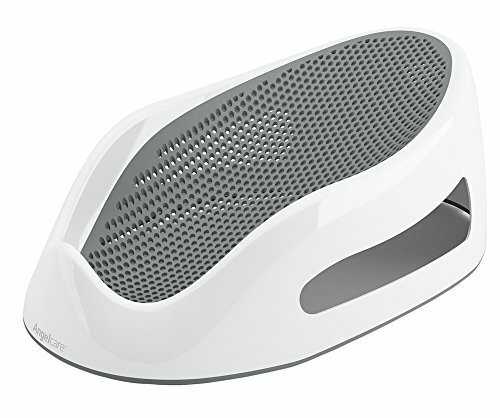 With the Petal Baby Bath, your baby won’t develop back pains and other forms of discomfort. However, you may experience some delay when drying it. Most times, the drying of the product could be difficult, and you’d be forced to wring it out manually. The 4moms Baby Bath is designed to help you clean up your little one with fresh water. With the top-notch drainage system, you get to bathe your baby with flowing water that enters from the reservoir and filters out from the other end. That is, you get to minimize the amount of residue or soap scum in the bathtub. Furthermore, there’s a built-in thermometer that indicates the temperature of the water. As a parent, you wouldn’t want to risk the safety of the child by using very hot or cold water when bathing your newborn. And the 4moms Baby Bath lets you know the exact temperature of the water. Aside from the super drainage system and built-in thermometer, the 4moms Baby Bath is conveniently shaped to fit into the good old-fashioned kitchen sink — you get to clean up your baby in a more secure way in the kitchen sink. However, the large size and shape may pose some storage issues. The Baby Bath Bucket is a womb-like shaped bath that’s designed to make your baby have an experience that’s similar to living in a womb. The product is designed to mimic the feel of a human womb and ease your baby’s transition process from the womb to the real world. The Baby Bath Bucket is famous in Europe, and hundreds of nursing mothers are using to boost the bath time pleasure of their infant. It’s primarily designed to enable you and your baby experience an easy and effective bathed. Aside from nursing mothers, several healthcare professionals like physicians, nursery nurses, and midwives endorse the revolutionary Baby Bath Bucket. If you’re an expectant mother, you should probably get one of the Baby Bath Bucket and keep it handy — especially if you’re delivery date is due. The Baby Bath Bucket makes your baby adopt the fetal position, thereby drastically making them calm and relax. 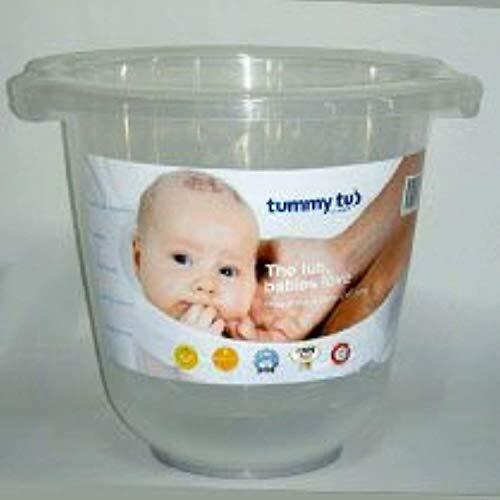 Furthermore, the Baby Bath Bucket can be recycled, and it helps you save energy, water, and space. However, you should be super careful when using the Baby Bath Bucket. Just like the Fisher Price Bath Tub, the Whale Baby Bath grows with your baby and offers adequate support along the way. 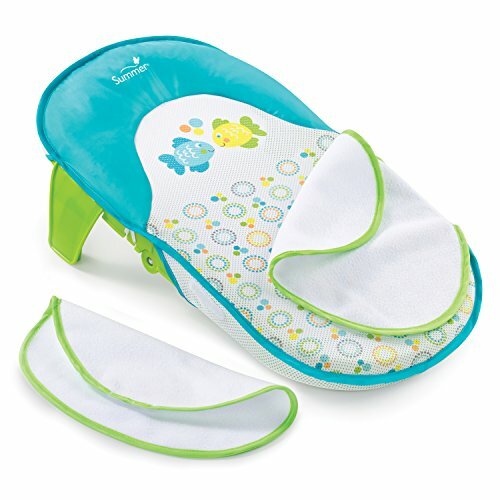 Its designed for newborns, infants, and sitters. For newborns, the Mesh Smart Sling offers comfort and support; it also locks your baby into two ergonomic positions — the upper and lower positions. The upper position provides head-to-toe cradling, while the lower position offers a support system for infants who are learning to sit. When the baby becomes developmentally mature and can sit unaided, you can remove the Smart Sling for a better bathing experience. Also, the Whale Baby Bath comes with a swivel hook and drain plug which enables you to hang on towel bar and showerhead. 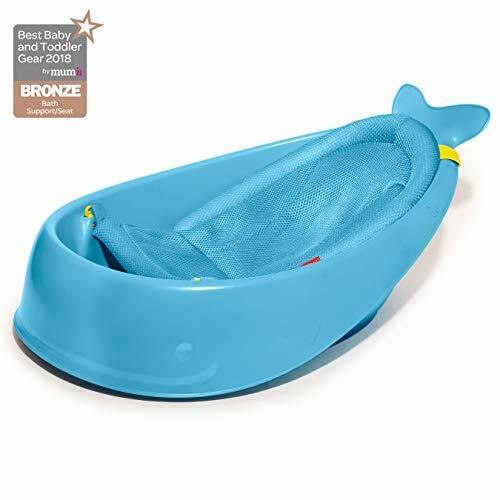 Aside from the top-notch design and easy functionality of the Whale Baby Bath, you’ll also get to have a baby bath that’s free of PVC, BPA, and phthalate. And its one of the best baby bath you’ll get. However, you should take the hygiene pretty seriously as it can grow mildew if not taken proper care of. The Baby Bath Sling is a unique bathing material that can be used for newborn babies and toddlers who can sit unassisted. A detachable warming wing provides comfort and its used to keep your infant warm while bathing. Also, they can serve as a washcloth for your baby. The sturdy base and headrest provide needed support for your little one, and a soft mesh fabric boosts the overall comfort of your baby. Storage of the Baby Bath Sling is not an issue as you get to fold and pack it before traveling quickly. To store it, you’d have to wrap it by following simple steps compactly. Versatility is another feature that differentiates it from other baby bath products. 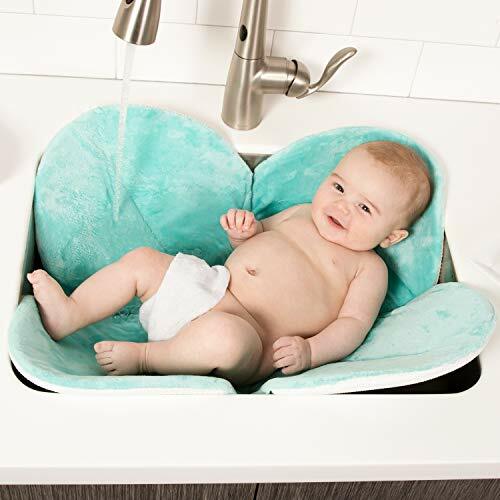 The Baby Bath Sling lets you bathe your baby in various places like the adult bathtub, a sink, or in a baby tub. However, it takes some time to set the Baby Bath Sling. Bathing your newborn could be an overwhelming experience — especially if it’s your first time, and extreme caution should be taken. Let’s face it; babies are floppy and slippery so that any mistake could lead to a fatal accident. In your quest to be a perfect mom, you may try to bathe your child every single day. However, frequent bathing does more harm than good. According to the American Academy of Pediatrics, toddlers (about a year old and above) should bathe three times per week. Most baby soaps are produced with moisture stripping materials that dry out your baby’s skin at a rapid pace. If the skin is regularly dried up, it may lead to cradle cap, a scaly rash found on an infant’s hair. Also, frequent bathing makes your baby prone to skin defects like Eczema. You see, an infant skin is delicate and sensitive. Moreover, they’re in a developmental stage where some germs are required to build up their immune system. So, microbes serve a higher purpose in the life of your baby. However, if you feel like bathing your baby every day, you can have a lukewarm bath that prepares your child for bedtime — it’s a fantastic way to bond with your little one. Whether you’re an inexperienced mom who dreads the bath time or you’re a veteran who has mastered the art of baby bathing, there are few tips you should keep in mind before you launch into the bathroom next time. Test the water temperature. You can quickly test the temperature of the water by using your elbow. Some bathtubs come with a thermometer that lets to know the temperature of the water. Always keep your baby warm. You should cover your baby with clean dry towels after bathing, and the room temperature should be about 75 Fahrenheit. As a mother, you’re naturally inclined to provide the best for your child. One of the best ways of establishing that special bond with your little one is by regular bathing. If your infant despises the bath time, a comfortable, soft, and secure baby bathtubs could do the trick, and rekindle the love for bathing in your baby. So, whether you’re a first-time mom or an experienced mother, you can make the bath time more fulfilling by getting any of the best bathtubs listed above. Your turn — What do you love the most about baby bath tubs? And which baby bathtub is your favorite? Use the comment section to share your thoughts with us.